The majority halted the new Labour Code in the hopes of an extra half a year allowing employer and employee representatives to reach compromise on the most disputed questions. It would appear that such expectations were overly optimistic. On February 7 the Tripartite Council made up of government, union and employer representatives negotiated on the debatable Labour Code provisions related to labour council and union competences. They were, however, unable to reach agreement on many of the questions. Furthermore opinions emerged that the Seimas will have to decide itself. “We will never come to terms in the Tripartite Council. It is obvious that at certain points opinions differ radically and the Seimas will have to decide because it represents all the people. This was an appealing idea – restore the reputation of the Tripartite Council, its prestige and what it decides, the Seimas will pass. Well, it will not be so. It is illogical,” said Lithuanian Business Employers’ Confederation General Manager Danas Arlauskas. Meanwhile the Chairwoman of the Lithuanian trade union Solidarumas Kristina Krupavičienė noted that the council failed to reach agreement and is postponing numerous questions for later. “It could be we will not make it by March 10,” she said. Prime Minister Saulius Skvernelis requested to conclude negotiations by specifically the Seimas spring session. Lithuanian Trade Union Confederation Chairman Artūras Černiauskas proposed that prior to the word “must”, the words “when demanded”. One of the creators of the Labour Code, Tomas Davulis, who participated in the meeting stated that such a change would not be beneficial to employees because they would have to request information, when the current iteration would mean it would be provided anyway. A. Černiauskas also stated that it was agreed with the employers to implement an exception to the declaration of wages if the specific position is only occupied by a single individual. “Otherwise their individual information would be revealed,” he explained. Discussions of this and certain other provisions which are related with labour council competences were postponed to the next meeting, prior to which the employers and the unions will inform the cabinet of their positions in writing. Another question that was discussed was the premises for forming labour councils and election initiatives. The current iteration of the Labour Code posits that “A labour council has to be formed under the employer’s initiative when the average number of employees reaches 20 or more employees. If there is an active trade union at the workplace, whose members comprise more than half of the staff in the place of employment, the labour council is not formed and the trade union obtains the authority granted to labour councils and enacts all the functions this code provides for”. A. Černiauskas informed that on Tuesday morning it was agreed with the employers that the labour councils will be formed when a tenth of the company’s employees support the initiative. The trade unions also want it to no longer be necessary for a trade union to comprise half of the employees before it is no longer necessary to form a labour council, however agreement with the employers was not reached in this regard. The main disagreement revolves around identifying when labour council functions pass on to trade unions. A. Černiauskas wishes for this to occur when a trade union represents 25% of the company’s employees, while the employers hold on to the position that it has to be at least 50%. On request of the employers this question has been postponed for the next meeting which will happen on February 14. The members of the Tripartite Council also discussed the provisions of the council’s formation. 1. “The Tripartite Council is formed under government decision for a term of 4 years, comprised of 15 members: 5 representatives of trade unions operating at the national level, 5 representatives of employer organisations operating at the national level and 5 government representatives. VII. Trade union organisations unite no less than 0.5% of individuals working in the territory of Lithuania based on the identified labour relations associated legal relations and employer organisation members – employers – employ no less than 3% of individuals working in the territory of Lithuania based on the identified labour relations associated legal relations. 3. Organisation adherence to the criteria outlined in part 2 of this article is evaluated by the Ministry of Social Security and Labour (SADM). Organisations that meet the criteria outlined in part 2 of this article are listed based on the 7th criterion of part 2 of this article, beginning with the trade unions uniting the largest number of employees or employers employing the largest number of employees. The first 5 organisations in the list of employers and the list of trade unions are invited by the SADM to delegate 1 member and 1 substitute member to the Tripartite Council. Any organisation together with its member organisations has the right to delegate 1 member and 1 substitute for them. This rule is not applied there are fewer than 5 organisations that meet the criteria identified in the 2nd part of this article. In such a case the selected organisations receive the right to, in their list order, to delegate 1 extra member and 1 substitute for them until the number of organisations delegating members reaches 5. 4. The government delegates its candidates under the ruling of the ministerial cabinet. 5. Tripartite Council membership is permitted for no longer than 2 terms in sequence. 7. If, based on the 6th part of this article, the term of any Tripartite Council member ends prior to the end of Tripartite Council term, the organisation delegating them may request the SADM to appoint a new Tripartite Council member and their substitute and if the organisation has ended, they are proposed by a different organisation, which follows the earlier organisation in the list formed based on part 3 of this article. 8. The Tripartite Council chairperson is appointed for six months from among Tripartite Council members based on the parties’ agreement and the principle of rotation. VI. Questions that have to be deliberated based on the International Labour Organisation Convention concerning tripartite consultations to promote the implementation of international labour standards provisions. 10. The functions, rights and work organisation regulation of the Tripartite Council are denoted in the Tripartite Council provisions. They are approved and changed by the Tripartite Council. 11. Organisation and government representatives must provide the Tripartite Council with necessary information related to questions in deliberation. Lithuanian Confederation of Industrialists vice President Jonas Guzavičius explained that the government should not interfere with the appointment of employer or union representatives to the Tripartite Council. Other employers have said that criteria for organisations seeking to become Tripartite Council members should be removed from the code. This would mean the removal of parts 2 to 4 and the parts listed prior from the code. A. Černiauskas agrees with this. Trade union representative Gražina Gruzdienė urged to firstly conclude discussions on the new labour Code, with discussions of expanding the Tripartite Council to be done afterward. 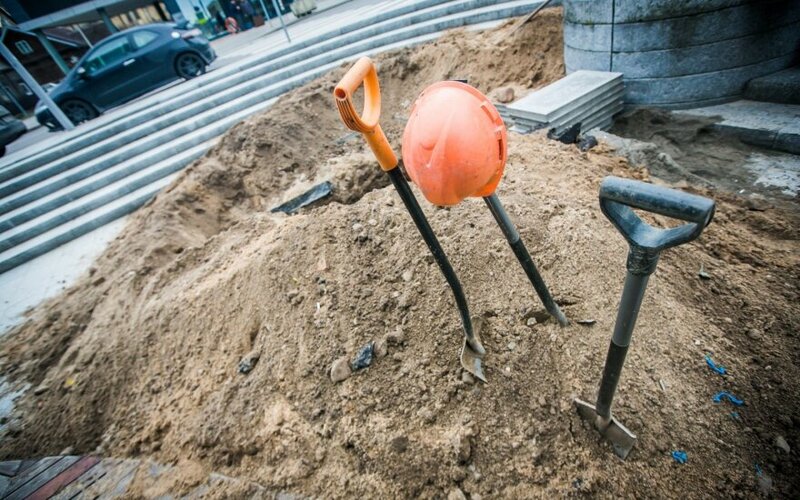 On Monday the Lithuanian Confederation of Industrialists (LPK) published a press release which states that the employers propose to return to the concept of mobile labour (work done in outdoor conditions) and discussions of paying employees compensations. 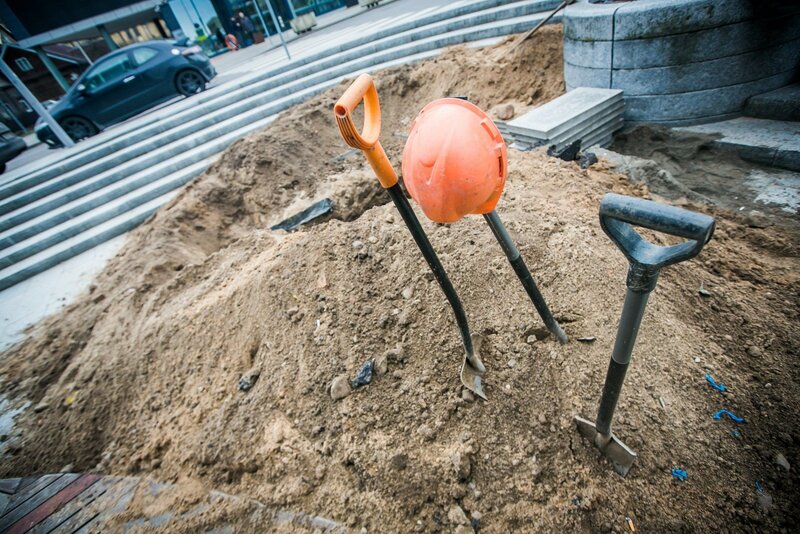 The LPK explains that if the compensations required for working outdoors will also include extra payments to Sodra, this will significantly increase labour costs. The currently frozen code does not contain the concept of mobile labour. This question could be negotiated in other Tripartite Council meetings. Delfi reminds that after a meeting with Tripartite Council representatives in early January, Prime Minister Saulius Skvernelis stated he believes the discussions on the disputed Labour Code articles will conclude prior to the Seimas spring session beginning on March 10th, that the code will pass during it and will come into power by July 1st. At the end of last year the Seimas postponed the implementation of the new social model for half a year, with the new Labour Code being a major part of it. S. Skvernelis promised earlier that the legislation will be amended by July 2017 and that over half a year business and citizens could prepare for the upcoming changes. He claimed the model will be “completely different” in half a year.